You cannot see the temperature of water just by looking at it. 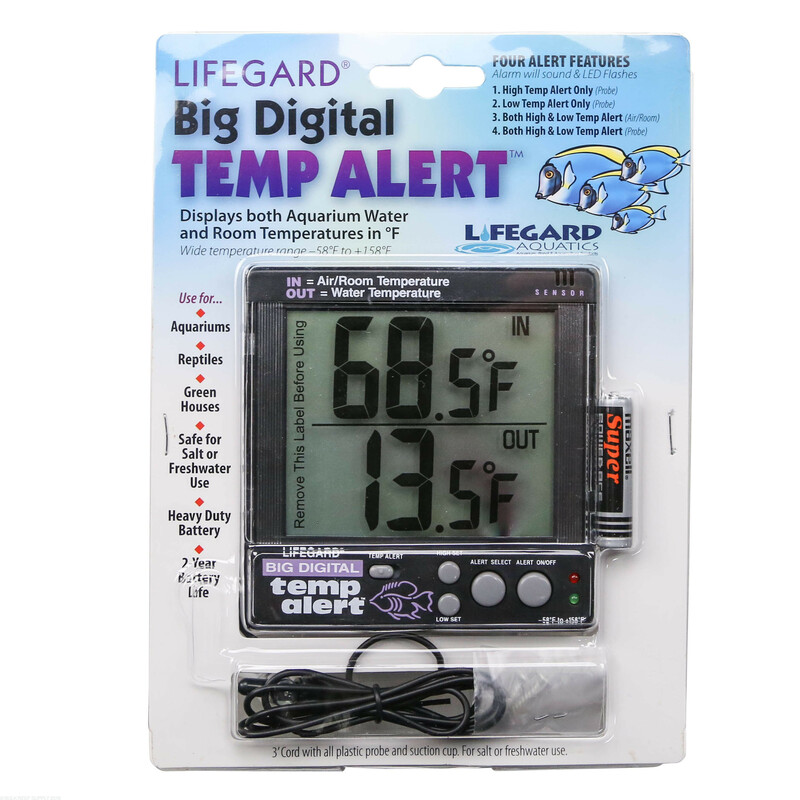 Having a temperature alert device on any tank is a worthwhile investment that can easily save you from disaster. By showing the room temperature and tank temperature in a single display, you can analyze how to react to adverse conditions. Works really well. Despite being used for aquariums, they are susceptible to damage from humidity and drips of saltwater. Thus, I highly recommend that if you use it, put the display outside the stand/sump. My view is that for the price, it should be a little better protected against water damage. Mine lasted about 2 years. Judge for yourself whether that is a long time or not. The supplied battery outlived the unit. It's a big thermometer, it tells me the temperature of my water, what else can I say? I have been using this thermometer in several applications for years. 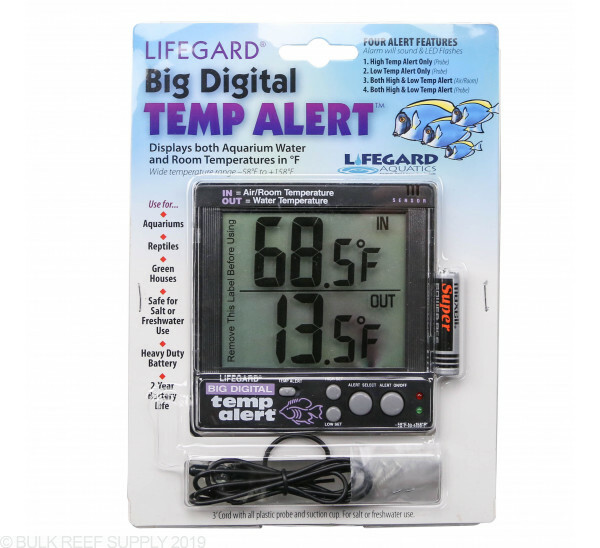 It is an easy and affordable way to keep an eye on Temps. I keep a backup in reserve. How long is the probe wire? This unit has a 38 inch cord.